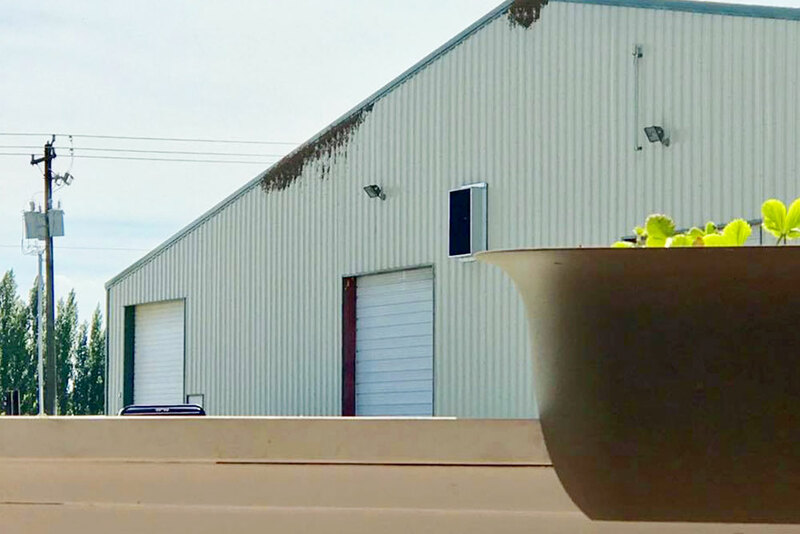 Sunward Steel Buildings, Inc. had the pleasure of manufacturing and providing this pre-engineered steel building for a customer in Moses Lake, Washington, in June of 2014. An addition to an existing building already erected at the site, this metal building features an overhang-style design and now serves as a beekeeping warehouse for Grigg Apiaries, Inc., a highly respected and nationally known family beekeeping operation. 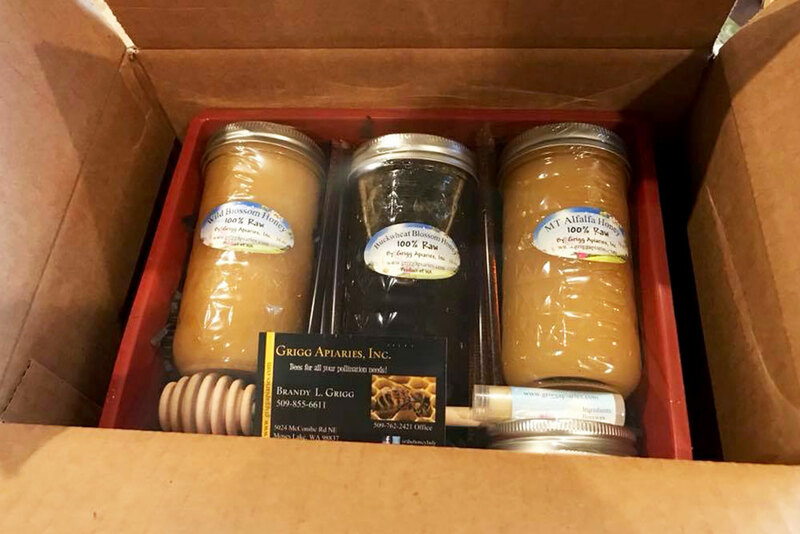 In addition to housing and raising bees, the team at Griggs Apiaries relocates them to particular areas of the country at regular intervals throughout the year to aid in pollination efforts that help grow fruits, nuts and other crops. The original complex consisted of one 25’x100’x100′ building until the additional warehouse was erected years later. 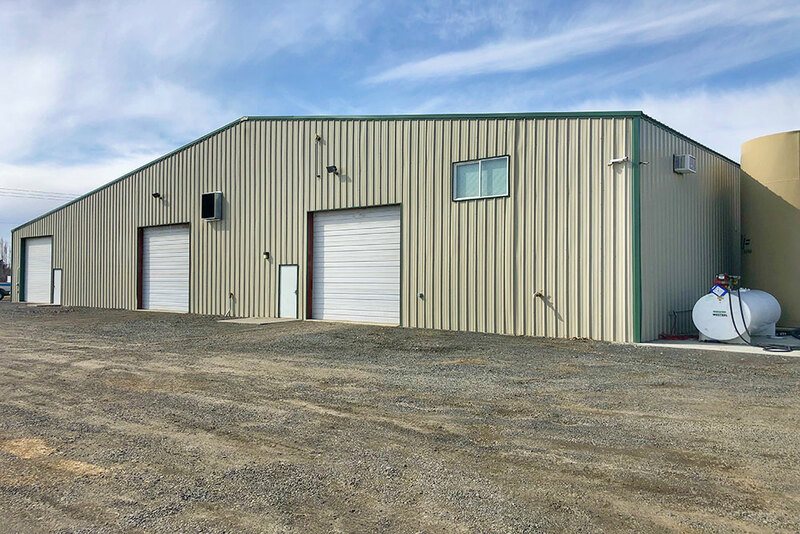 Comprised of rugged, high-end steel components, the metal warehouse addition boasts a finished size of 25’x100’x20’ following an easy and quick erection process. Overhead, a hardwearing Galvalume roof with Dark Green trim and a 2:12 pitch helps protect the bees from the Washington elements from above, and (3) framed openings serve as additional notable features. Included are (1) 3070 opening enclosing (1) 3070 commercial walk door and (2) 14’x14’ overhead openings, each housing one of (2) 14’x14’ overhead doors. 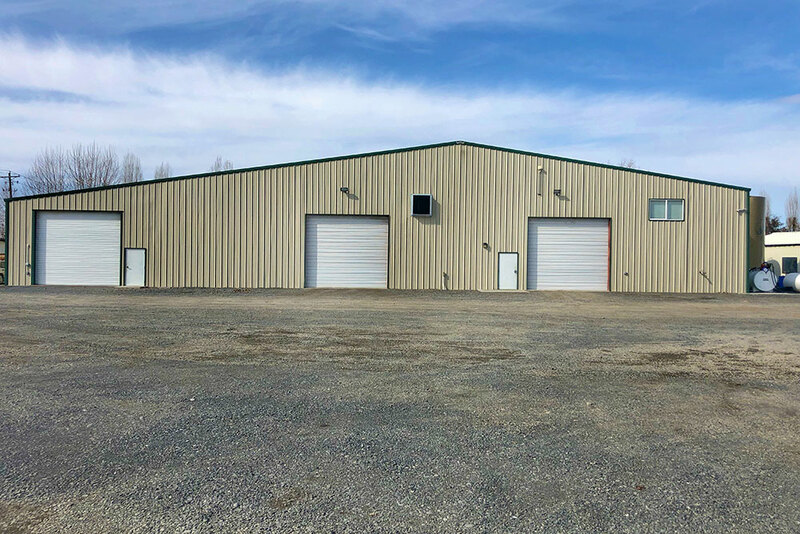 The steel warehouse addition also features several accommodations made with respect for the weather and climate characteristics of the Moses Lake area as well as the building code requirements currently in place across the region. These include a 23.1-psf snow load and a 110-mph wind speed rating. Pre-engineered steel warehouses are immensely popular among those with commercial and agricultural interests because they offer affordability, durability and versatility in the same long-lasting package. This particular metal warehouse gives Grigg Apiaries professionals a year-round place to house and raise bees before relocating them to other locations throughout the year, where they assist with a broad range of farming and agricultural operations and efforts. In the winter months, for example, the company’s bees travel to Southern California, where they pollinate almonds before moving back to Washington to pollinate fruit from March until June. After that, the bees move on to Montana, where they play a key role in honey production before returning to the Moses Lake area for use in buckwheat operations. Part of the Moses Lake-Othello statistical area, the city of Moses Lake is located within Washington’s Grant County. The community sits roughly 100 miles southwest of Spokane and about 20 miles southwest of Ephrata. 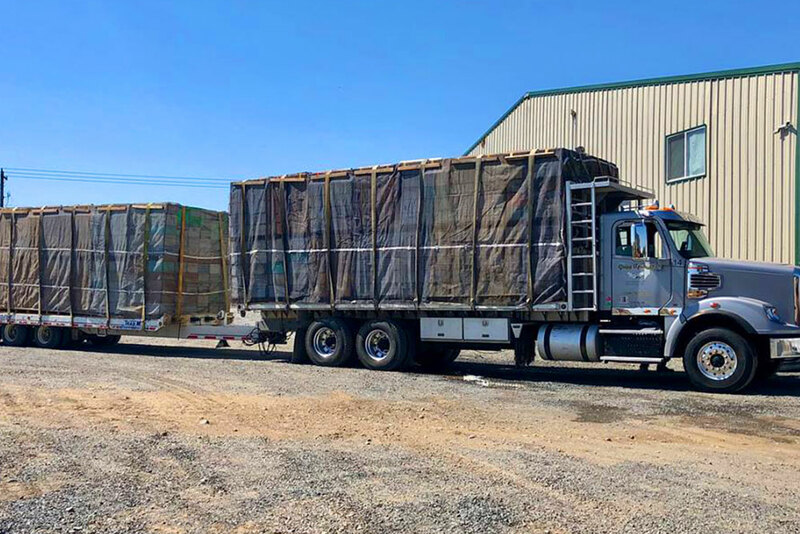 Considering purchasing a prefabricated steel building for commercial, agricultural, industrial or other use in Washington state or another part of the country? Click here for a price quote.